Baird, an international, employee-owned wealth management, capital markets, private equity and asset management firm, announced today that it has added a veteran financial advisor team, The Gollier, Henning & Waters Group, to its Kansas City, Mo., office, which now includes nine Financial Advisors. The team, joining from Wells Fargo, brings 85 years of combined industry experience to Baird. The Gollier, Henning & Waters Group includes Financial Advisors Frederick Gollier, Director; Michael “Hamp” Henning, Vice President; and Christopher Waters, Vice President. Henning was also named Branch Manager of the Kansas City office as part of the addition. The team is joined by Client Relationship Assistant Denise Terry. 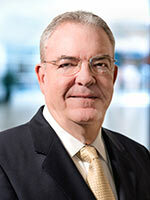 Gollier has been in the financial services industry since 1970, when he began his career with AG Edwards. He then joined the former Blyth, Eastman, Dillon & Co. and George K. Baum & Co. investment firms before moving to First Union in 2000, where he stayed through mergers with Wachovia and Wells Fargo. Gollier holds a bachelor’s degree in political science from the University of Kansas and is locally involved with several organizations, including Harvesters: The Community Food Network, The Boys & Girls Club of Greater Kansas City and Big Brothers Big Sisters. Gollier lives in Kansas City with his wife Gail and has one adult son. Henning began his career in 1999 at AG Edwards, moving to Wachovia in 2004 and staying through the merger with Wells Fargo in 2007. He attended the University of Kansas and chairs the Board of the Catholic Education Foundation. Henning lives in Leawood, Kan., with his wife Nikki and their four children. 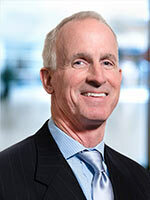 Waters began his career in 1985 with the former Paine Webber brokerage firm and moved to George K. Baum & Co. in 1991. 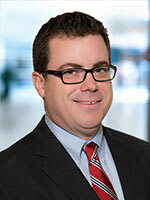 He then worked at Stifel Nicolaus and Oppenheimer & Co. before joining Wells Fargo in 2008. Waters holds a bachelor’s degree in marketing from Missouri State University. He is a member of the Kansas City Securities Association and a board member of the Sisters of Joseph Carondelet. Waters lives in Overland Park, Kan., with his wife Lisa and three daughters. Baird has added more than 300 Financial Advisors and Branch Managers to its Private Wealth Management group since the beginning of 2009, the vast majority of whom are industry veterans. Beyond adding talent, Baird has opened wealth management offices in markets including Denver; Lake Norman, N.C.; Sarasota, Fla.; Portland, Maine; Salt Lake City; Houston and Fort Worth, Texas; and Portland, Ore.
Baird is an employee-owned, international wealth management, capital markets, private equity and asset management firm with offices in the United States, Europe and Asia. Established in 1919, Baird has more than 2,900 associates serving the needs of individual, corporate, institutional and municipal clients. Baird has more than $100 billion in client assets. Committed to being a great place to work, Baird ranked No. 9 on FORTUNE’s 100 Best Companies to Work For in 2014 – its eleventh consecutive year on the list. Baird’s principal operating subsidiaries are Robert W. Baird & Co. in the United States and Robert W. Baird Group Ltd. in Europe. Baird also has an operating subsidiary in Asia supporting Baird’s investment banking and private equity operations. For more information, please visit Baird’s Web site at rwbaird.com.